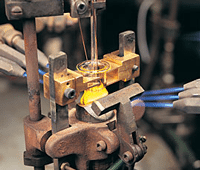 The Fredericks Company has wide-ranging capabilities for developing custom glass products. With successful prototype development, Fredericks can supply the quantities required for your production needs. 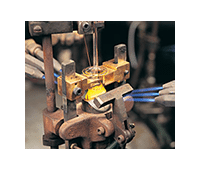 Products such as glass flares, glass bulbs, glass vials, glass tubulations, glass beads, glass pens, glass envelopes and glass flow cells were developed from prototype and expediently introduced into production by The Fredericks Company. Whatever glass design you have, contact our glass engineering specialists for an appraisal and determination of how we can address your needs.